Prevent “the return to power of Mahathir’s faction”! Text below is translated from original version in the Chinese language published on 24 September 2017. In the case of any discrepancy between the English rendition and the original Chinese version, the Chinese version shall prevail. The 14th General Election of Malaysia should take place at the end of this year or early next year. Leaders of the opposition parties who flaunt the banner of “Save Malaysia, End Kleptocracy” are weaving the sweet dreams of “making use of Mahathir to bring Najib down” and “taking over Putrajaya” whereas NGOs and the ordinary people who long for social reform are hoping that the next and subsequent parliamentary terms will have more “representatives of the people” who are courageous enough to voice up for the oppressed communities, to effectively vote down the “Act 355 Amendments” and other acts of the similar nature, in order to stop any Malay hegemonists from willfully Islamising the multiracial multi-religious secular state. Sahabat Rakyat was formed on 9 September 2001, it is commemorating its 16th anniversary this year. Coinciding with the upcoming general election (GE), to continue its ideology and ideas that NGOs should “remain independent and autonomous” and “be with the people” as practised in the previous two GEs (12th and 13th), Sahabat Rakyat Working Committee has decided to put forward our position and views pertaining to the upcoming GE. 2. The substance of our parliamentary election is indeed a fraud which is in favour of the hegemonic ruling clique to prolong its rule towards the people of all ethnic groups. Moreover the political struggle lines of those main political parties in our country are ambiguous and the arrangement of seats contested in the upcoming election among themselves is still equivocal. However, Sahabat Rakyat Working Committee cannot do nothing, hence we have decided to release this proposition which is in accordance to the aspiration of most of our committee members. This also serves as a small gift for our democratic reform movement in conjunction with Sahabat Rakyat’s 16th anniversary. We hope that individual committee member will express their views and ideas. 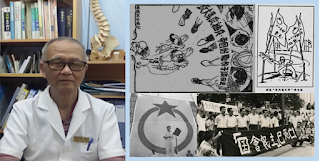 We even hope that democratic parties and organisations and democrats around the country will be inclusive towards different views and stands, to examine in practice which view and stand are in line with the interests and aspirations of the people of all ethnic groups, as well as to examine in practice whether the “strategy” of “making use of Mahathir to bring Najib down” that is vigorously advocated by the leaders of the “democratic parties and organisations” of the present phase is actually beneficial or harmful to the democratic reform struggle of the people of all ethnic groups? After the lessons learnt from the last two GEs, voters of all ethnic groups and from all walks of life (especially those who are concerned of the democratic movement and future of the country) in general have lost their passion and expectation in the upcoming GE and even come up with the saying of “not wanting to vote / abstain from voting” or the idea of “casting spoilt vote”. Many NGOs, leaders of democratic parties and political commentators are now worried about such scenario and some are even debating relentless about it. We are of the view that, voters of all ethnic groups and from all walks of life around the country will certainly express their personal will and aspiration in the upcoming GE based on their own experience and political understanding and according to their self-interest. This will not be subjected to the will or aspiration of any politicians’ (or demagogues). Since the independence of the country for 60 years, the people of all ethnic groups in our country have gradually realised that UMNO hegemonic rule is the root cause of the slow or even stagnant social development, the increasing distress of the economic life of the lower class people, the intensification of the religious and racial oppression and the deprivation of political rights of the oppressed communities. As a result, people of all ethnic groups and from all walks of life via the 12th and 13th GE, had spurned BN component parties and their candidates in many cities and urban areas, expressing their resentment and resistance towards UMNO hegemonic rule. The people of all ethnic groups are extremely upset and disappointed that the political party leaders and political alliance (before this was “Pakatan Rakyat”) who are preparing to form an alternative government before the election acted deaf and dumb towards the core demands of the oppressed communities in order to win over Malay votes, and after the election fighting amongst themselves for power, position and fundamental interests. It is very certain that the confidence of the people of all ethnic groups on the political party leaders who are leading the present democratic reform politics has greatly diminished. The Najib-led UMNO ruling clique has been trying to offer Hadi Awang-led PAS leadership appeasement from the very beginning to divide the political forces against UMNO hegemonic rule in order to resolve all kinds of internal and external problems to consolidate his regime. Both parties stepped up on the state Islamisation agenda, collaborated in pushing for the amendment of Act 355 in the Parliament, these internal conflicts that could not be mediated had ultimately led to the disintegration of PR. From the perspective of PR, this is the external factor of the breaking up of PR from the 6 years long political struggle which PR leaders had led the people in opposing UMNO hegemonic rule; whereas the internal factor of the breaking up of PR is because, in the last GE, leaders of the 3 PR parties intentionally neglected or being ambiguous by adopting cunning and duping attitude towards the various just demands put forward by the minority communities (in particular the Chinese and Indian ethnic communities in peninsular Malaysia and Iban Dayak and Kadazan Dusun communities in Sabah and Sarawak) who have been facing racial oppression carried out by BN hegemonic rule. After encountering failure in the GE, although some PKR leaders tried their best to rope in PAS and to maintain their collaboration, DAP and PAS were unable to reconcile the fundamental contradictions and conflicts of interests between safeguarding the Federal Constitution and promoting Islamic law. Therefore PR eventually had to disintegrate. The historical facts show that: the arbitrary implementation of Malay racism and hegemonism and arbitrary Islamisation of a secular state are the key ruling means of UMNO ruling clique to prolong and strengthen its hegemonic rule; Mahathir who was in power for 22 years of the UMNO hegemonic rule is the chief culprit of declaring “Malaysia is an Islamic state”, disregarded the will of non-Muslims who comprise nearly half of the population of our country. Our people must bring down UMNO hegemonic rule first in launching democratic reform struggle, in which opposing Malay racism and hegemonism and state Islamisation are the core contents and mandatory conditions of opposing UMNO hegemonic rule. The facts in front of us show that: in order to win the Malay votes, to realise the sweet dream of “changing the government (Ubah) and taking over Putrajaya” and winning more states, PH leaders of PKR, DAP and Parti Amanah who split from PAS, not only ignore the main contradictions of the social democratic reform of our country, they also continue to avoid the ruthless issues of the continuous violation of rights of the oppressed communities by the Malay hegemonism and state Islamisation. Furthermore, they welcome Mahathir, the chief culprit of ruining the nation and the people and his faction who are originally from UMNO, who established “Parti Pribumi Bersatu Malaysia (PPBM)” to become the “Supreme Commander” and “Core Leadership” of “overthrowing Najib, save Malaysia”. The popular masses of all ethnic groups are very clear that the PH formed by 4 parties will repeat the mistakes of PR and end with failure. Therefore, today the masses are lack of interest about the slogan of changing government in the upcoming GE that PH leaders are trying to hard sell. Some are even disappointed and discontent, hence it is totally understandable how the opinions such as “voting is useless”, “being forced to spoil the vote” surfaced. In order to protect the interest of Malay bureaucracy and monopoly bourgeoisie, the UMNO-BN hegemonic ruling clique led by Najib is insisting to implement “Malay-privileged” racial economic system and policies; giving way to the rent-seeking and corrupt behaviors of Malay bureaucrats; rejecting democratic reform, which causes the national productivity to be stagnant; imposing various kinds of “goods and services tax” besides implementing all kinds of exorbitant taxes in order to cope with the enormous national spending. All these are resulting increasingly heavy economic burden of people of all ethnic groups. Apart from this, in order to counter discontent of the popular masses, especially the Malay working class who are also being ruled and oppressed, the UMNO-BN hegemonic ruling clique led by Najib will work more closely with the reactionary leaders from PAS to accelerate the progress of state Islamisation and further undermine the constitutional foundation of secular state of Malaysia. Together, they will intensify religion and national oppression to continue to swindle the support of the Malay working class, and hence further break up the force of a united people of all ethnic groups in resisting UMNO hegemonic rule. 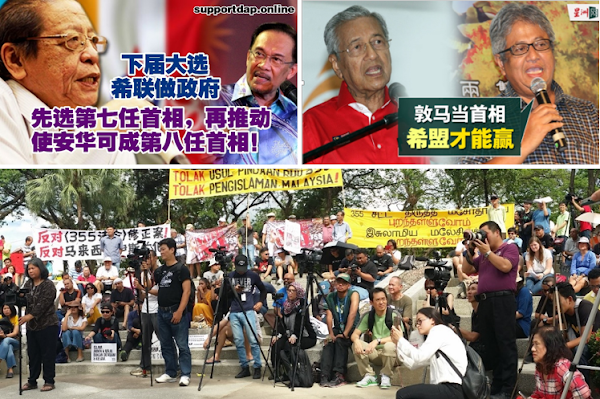 In actual fact, the broad masses of all ethnic groups are hoping to express their greater and deeper resentment towards the UMNO hegemonic rule in the past 5 years through their votes in the upcoming GE. 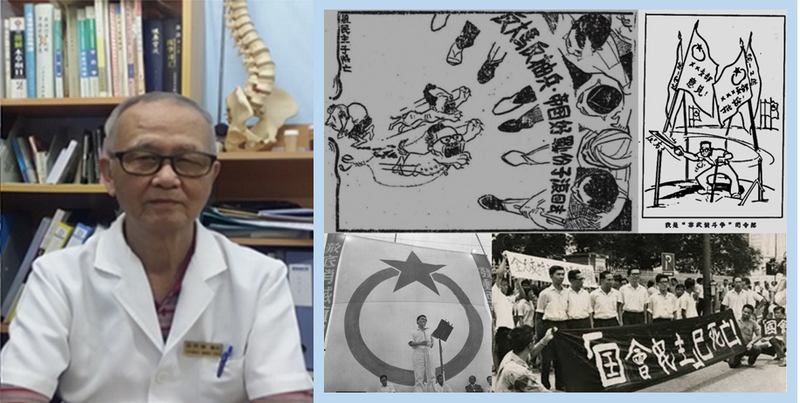 We are of the view that, people of all ethnic groups absolutely has the rights to express their resistance towards Malay hegemonic rule and state Islamisation based on their personal experience and political awareness, as well as the fundamental interest of themselves and the oppressed communities. People has every right to vote for candidates who oppose state Islamisation in order to strengthen the voice of opposing state Islamisation in the Parliament and further frustrate the plot of proceeding or reinforcing Malay hegemonic rule and state Islamisation by UMNO or any clique. Sahabat Rakyat Working Committee has, before this supported a human rights group named “BEBAS” in a call to “mobilize voters from all around the nation to monitor whether their MP’s opinion and stand with regards to the proposed amendments to the Syariah Courts (Criminal Jurisdiction) Act 1965 (better known as Act 355) are in accordance with the aspiration and in line with the interest of people of all ethnic groups”. The call to mobilise people’s power to supervise the political leaders is a justified, legitimate and appropriate struggle against state Islamisation. The call has yet to be carried out due to the postponement of the motion to amend Act 355. Therefore, we are willing to proceed with the call. We propose that: As long as the candidates in the upcoming GE publicly committed to oppose Hadi Awang’s motion to amend Act 355, we will not hesitate to urge voters of all ethnic groups to vote for them and support them to carry out the struggle in opposing state Islamisation until the end. People of all ethnic groups are hoping that the Pakatan Harapan formed by PKR, DAP and PAN (formed by the faction split from PAS) will learn the lesson from the failure of “Pakatan Rakyat” and stand firm in opposing state Islamisation and continue the struggle to resist UMNO hegemonic rule until the end. But, after the leaders of 3 parties mentioned above parted ways with PAS (that advocates the establishment of Islamic state), they unexpectedly welcomed PPBM, a party which flaunts to uphold Malay sovereignty formed by Mahathir who had been in power in UMNO for 22 years but was crowded out by Najib in the battle of UMNO ruling clique’s internal conflicts and his faction. They even allow Mahathir and his gang to play the role of “Supreme Commander” and “Core Leadership” to “raise Malay political tsunami”. This has inevitably caused doubts, worries and even dissatisfaction of people of all ethnic groups! Even though leaders of PH (referring to the original 3 parties) displayed their weaknesses and vacillation in opposing state Islamisation, most of the grassroots members, cadres and supporters of DAP, PKR and PAN are still standing on the position of resisting UMNO hegemonic rule. In the current phase, these 3 parties of PH are still much in line with the reform aspiration of people of all ethnic groups and belong to the peoples camp. Therefore, it is understandable that people of all ethnic groups in the country will vote in support to the candidates from DAP, PKR and PAN in the upcoming GE. There is nothing wrong if they cast spoilt votes (for example drawing a moon or anything on the vote to express their dissatisfaction) for Mahathir and candidates from PPBM as a result of worrying that the return to power of Mahathir’s faction will bring more far-reaching scourge onto the people of all ethnic groups, especially the oppressed ethnic communities. In recent years, main opposition party leaders are putting in a lot of efforts to hype that Najib is the major culprit of kleptocracy in our country. In Lim Kit Siang’s message delivered for the 60th Merdeka Anniversary this year, he stated that “the US Government had virtually branded the Malaysian Prime Minister as “kleptocrat” by being “MO1” (Malaysian Official No 1)”, and “Najib has not cleared himself after being branded as a kleptocrat by being “MO1” in the United States Department of Justice (DOJ)’s largest kleptocratic forfeiture suits.” From the allegations on how 1Malaysia Development Berhad (1MDB) channeled USD 681 million (approximately RM 2.6 billion) into the bank account of “MO1” held with Ambank in 2 separate transactions, the people has seemed gotten numb and the loud urge by Lim Kit Siang to “bring Najib down and end kleptocracy” does not seem to arise grave repercussions. When Mahathir formed Parti Pribumi Bersatu Malaysia (PPBM, or known as “Bersatu”), DAP leaders have since busy in hyping that Mahathir is the “key person who will set off the Malay tsunami”. Lim Kit Siang, in one of his statement, mentioned that Mahathir is the key person who can break the fortress of UMNO because neither PKR, PAS, Parti Amanah Nasional (PAN) nor DAP can shake the Malay rural areas (constituencies). Only Mahathir is able to influence these Malays to change and raise the “Malay tsunami”. But the fact is, Mahathir is the representative of Malay hegemony who is longest in-power, using the most sinister means and with the deepest sin whom Lim Kit Siang had attacked vigorously. The pro-BN commentators commented that Lim Kit Siang is willing to discard his dignity for the sake of Malay tsunami and taking over Putrajaya. If the two major speculations above are able to stimulate the enthusiasm of voters of all ethnic groups towards the coming GE, and if these speculations are able to bring about grave impact and effect on the election results, then there is no need to worry about views that “voting is useless”, “no choice but to spoil our votes” and etc. by anybody. The demand of the oppressed class to reform the current taxation system that is unfair to the low-income earners. We observed that some leaders of PH (referring to the original 3 parties) have been following the footsteps of Mahathir since Mahathir bombarded the “Forest City” development project in Johor Bahru jointly developed by Country Garden Group (from China) and the Johor royal family. They targeted infrastructure projects that are undergoing development by China and that will be drawing large sum of investment funds from China such as the Malacca Gateway, expansion of Port Klang (the third port), East Coast Rail Link (ECRL), High Speed Rail (HSR) connecting Kuala Lumpur and Singapore, and etc. They also criticized Najib for “selling off state sovereignty” and “pawning the people’s interest” to China. From the above situation, the corruption scandal of Najib’s regime and the investment of China in Malaysia may become two hot topics that will be debated intensely in the upcoming GE. We are of the view that if leaders of PH (referring to the original 3 parties), like Mahathir, stand against the deployment of China’s One Belt One Road strategy and destroy the strategic cooperation that has been established between Malaysia and China for the sake of “bringing Najib down” and “taking over Putrajaya” regardless of the consequences, it can only be concluded that, either they have other political intention or they are lack of profound political wisdom. We are of view that, it is exemplary and commendable to criticize against the “Forest City” development project by Country Garden Group in Johor Bahru. This development project does not meet the actual needs of the people in Johor nor in Malaysia. It does not bring benefits to families that barely make ends meet in Johor. It may also bring adverse effects to Johor that cannot be estimated. There are many indications showing that “Forest City” is actually a large-scale development of high-end buildings specially located in Johor Bahru (a place near Singapore) to attract illegal capitals from within China by private enterprise group of China. According to media reports, China government has tightened the control over funds transferred out of China for the purchase of properties in “Forest City” by its people. We are of view that, it is an excellent opportunity of a lifetime to the people of our country that China, to realize the deployment of its One Belt One Road’s strategy, decides to invest large amount of money for the development of infrastructure in Malaysia in order to promote the economic development and common interests of both countries. China today has risen as one of the most powerful economy in the world. China has never plundered resources and wealth of other countries and peoples. A lot of leaders and people of other countries (especially countries that are not along the lines of One Belt One Road) have been dreaming about getting in China’s investment. Thus, what is the reason to oppose or give up easily on such investment?